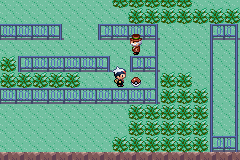 Head east of Fortree City onto Route 120. 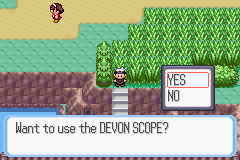 If you try and take the stairs down to the water you'll be stopped by an invisible force, using the Devon Scope to reveal a Kecleon. 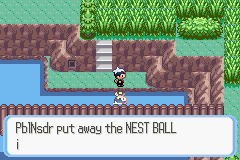 After defeating/catching it, pick up the Nest Ball from the Item Ball by the water. Surf to the south and enter the cave, Scorched Slab. Inside is an Item Ball containing TM11 - Sunny Day. Return to shore and use cut on the two trees directly north. 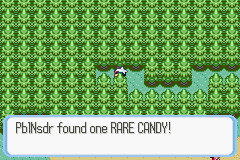 Follow this small path in the underbrush and you'll come across a hidden Rare Candy. 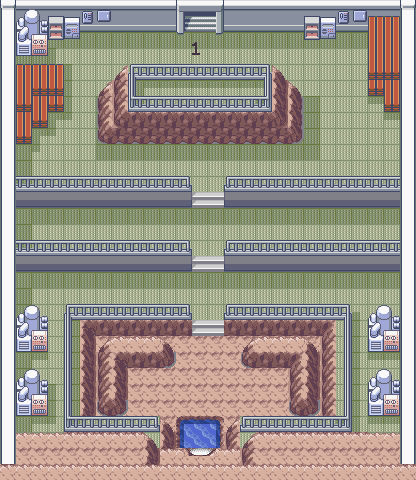 There's another chance to be interviewed and a spot for a Secret Base as well as two trainers in the northern section here. 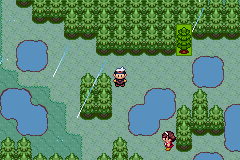 After you cross the bridge it'll start raining and there will be an open area with four more trainers. You can use cut on the tree to the east to grab 6 Aspear Berries. Continue south through the maze of long grass. 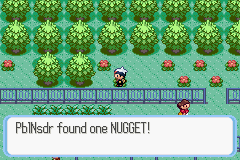 There's a few trainers to battle here as well as a Nugget in an Item Ball. 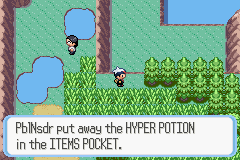 Keep moving south and you'll cross another bridge before finding a Hyper Potion. 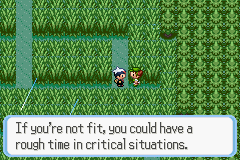 Defeat the trainer and talk to the girl and give her a positive response to receive a Figy Berry, and then grab the 6 Pecha Berries. 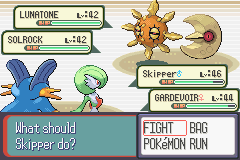 A bit to the north are 3 Razz, Nanab, Pinap, and Wepear Berries reflected beautifully on the water as well as two trainers (a Ninja and a Rock Climber). 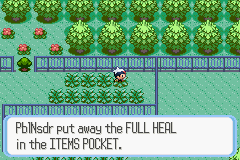 Surf across the water to find a Full Heal in an Item Ball. Return to the intersection and head east onto Route 121. 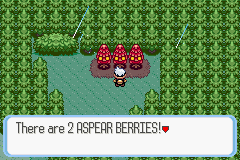 There's one trainer and another array of berries, this time 2 Persim, Aspear, Rawst, and Chesto Berries. 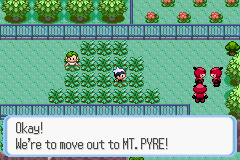 Continue east and defeat one more trainer before catching a glimpse of Team Magma/Aqua shouting out their secret plan to relocate to Mr. Pyre. 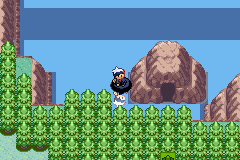 Use cut on the tree (or go around through the tall grass) to get to the entrance of the Safari Zone. 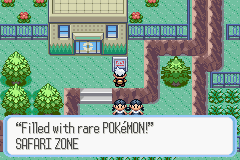 You can catch a lot of rare Pokémon here, we detail that in our Safari Zone Guide. To the east is a set of twins for a double-battle. 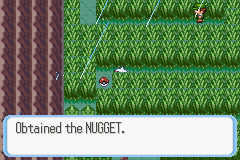 Continue through the fenceed maze and defeat the two trainers and pick up a Carbos in an Item Ball and a hidden Full Heal and Nugget, as well as 6 Pinap Berries. 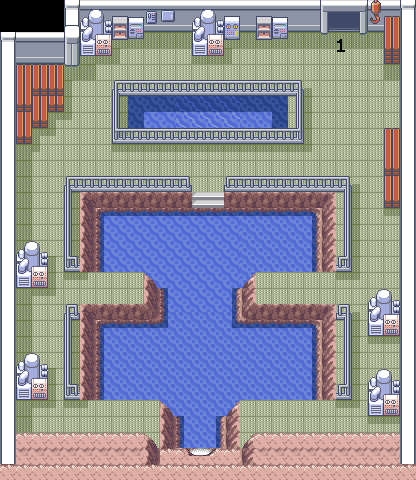 Lilycove is one of the largest cities in Hoenn. It features a Megamart, a Museum, a Motel, a Contest House, and a Harbour. 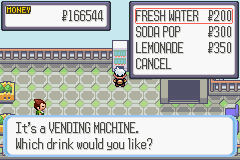 After healing, travel to the northeastern most part of town and talk to the old man for an Aspear Berry. 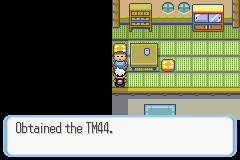 Hop down the ledge from him and enter the house to get TM44 - Rest. 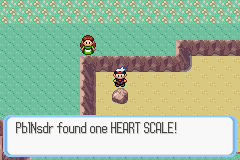 Continue south and examine all the rocks on the beach to pick up a PP Up, a Pokéball, and a Heart Scale. 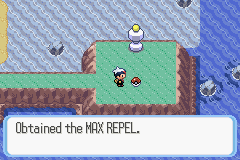 Make sure to also grab the Max Repel from the Item Ball in the southeast corner of town. 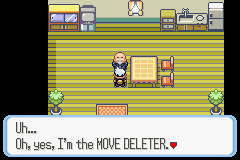 Back north, the house east of the Megamart is the Move Deleter's home, talk to him if you want to get rid of any HM moves on your Pokémon. Finally, talk to your rival in front of the Megamart and defeat him/her in battle. May/Brendan shouldn't put up much of a challenge this time, feel free to enter the Megamart and shop to your heart's content. 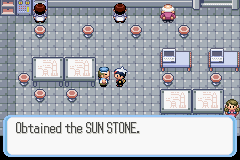 There's a lost of cool things here, including TMs, Stat boosters, and Secret Base decorations. There's nothing left to in Lilycove, so head back to the Pier below the Safari Zone. 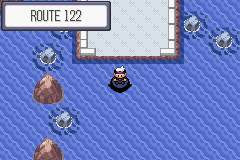 Surf south onto Route 122 and dock on the center island, then enter the cave. The cave is actually a building, Mt. Pyre. 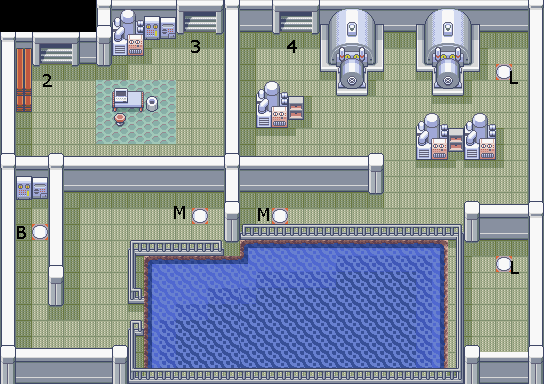 You'll encounter wild Pokémon inside the building on each floor. 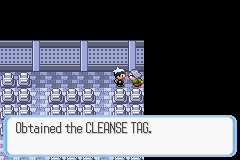 Speak to the old lady on the first floor to obtain a Cleanse Tag, then climb the stairs. 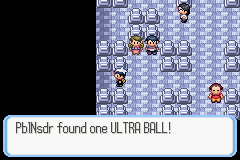 You'll find a trainer, a double-battle, and one Ultra Ball in an Item Ball on the second floor. 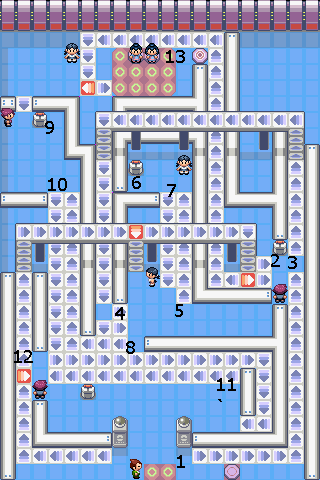 On the third floor, there's two more trainers and a Super Repel for you to pick-up. There's one trainer each on the fourth and fifth floors. 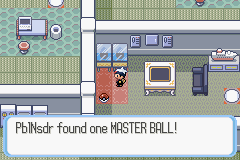 On the top (sixth) floor, there's one more trainer and TM30 - Shadow Ball. Drop down the hole to grab a Lax Incense on the 5th floor, and a Sea Incense on the fourth floor (lower hole). Once you've made your way back down take the west exit outside. 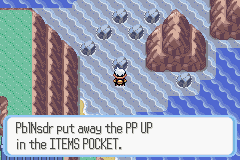 Begin scaling the mountain and pick up TMM48 - Skill Swap from the Item Ball from a ledge. 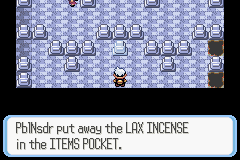 A mist will set in and you can grab a Max Potion from an Item Ball. 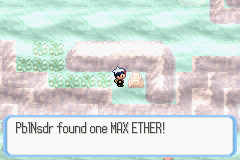 You can also get an Ultra Ball and a Max Ether from the golden gravestones. 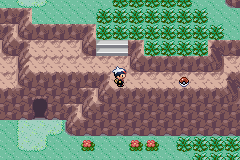 Make sure to stay to the right in the next area so the Team Aqua/Magma grunt will move far enough for you to access the area he's guarding when he notices you. Defeat him and examine the southwest gravestone for a Zinc. 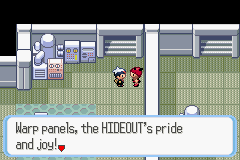 Continue to defeat the Aqua/Magma grunts and once you reach the top you'll find that Archie/Maxie has gotten a hold of either the Blue or Red Orb. 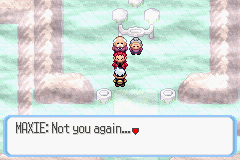 The old lady here will give you the Red Orb in Ruby or the Blue Orb in Sapphire after Team Aqua/Magma flee. 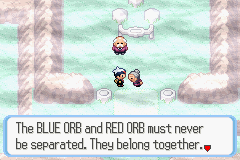 You can talk to the old man here to learn a bit more about the Red and Blue Orbs. Scale back down Mt. Pyre and surf south. Grab the 2 Sitrus, Pecha, and Rawst Berries from the soil patch here. 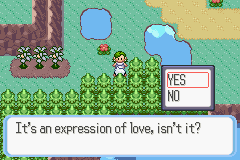 If you have a grass Pokémon in your party and talk to the girl she'll give you TM19 - Giga Drain. 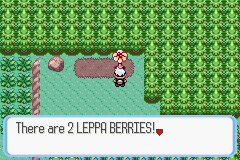 Using cut on the trees will lead you to 4 Leppa Berries and an Elixir. Be careful with the ledges here, you won't be able to climb back up once you jump down. 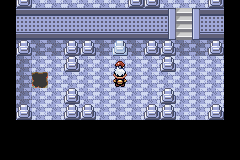 There's a few trainers to fight here as well as a few hidden items to collect. This path eventually leads to the Berry Master's house. 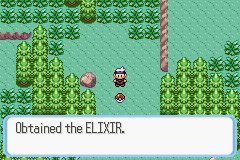 From here, fly to Slateport City and make your way to the harbor. Captain Stern is being filmed by a T.V. crew here. 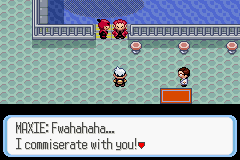 Team Magma/Aqua soon steps in and steals is submarine, but not before letting you know they'll be in Lilycove city. Fly there when you're ready. 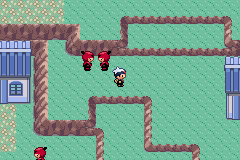 After arriving in Lilycove, follow the path of Magma/Aqua grunts to their hideout, it's just east of Lilycove, simply surf to the cave entrance. The interior of the villainous teams' hideouts are different, so select the guide you need below. 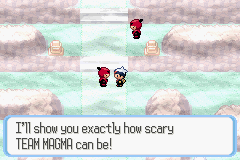 Enter Team Magma Hideout and defeat the single grunt here. Enter through 1. 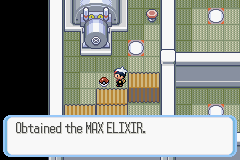 Enter A to and grab the Max Elixir. Enter A and then B, head up through 2, defeat the grunt, enter 3. 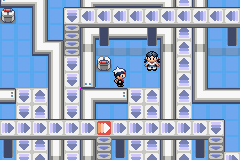 Enter C, defeat the 2 grunts, enter E, enter F.
Enter G, enter I, enter J, enter K.
Enter K, enter J, enter I, enter G, enter F, enter E.
Enter D, defeat the grunt, enter 4. 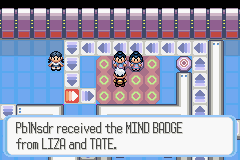 Defeat the grunt, enter L, pick up the Nest Ball, enter L, enter M.
Speak with and defeat Magma Admin Tabitha, enter B, exit Team Magma Hideout. 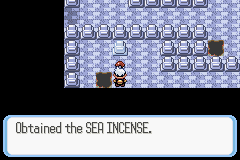 Enter Team Aqua Hideout and defeat the single grunt here. Enter through 1. 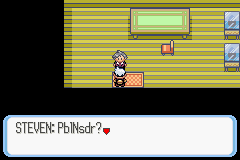 Enter A and then B, defeat both grunts, enter C.
Enter D, enter E, enter F, enter G.
Enter G, enter F, enter E, enter D, enter C.
Enter H, defeat the grunt, enter 2. 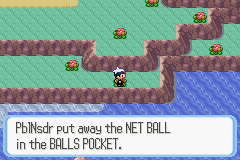 Defeat the grunt, enter I, pick up the Nest Ball, enter I, enter J, enter 3. 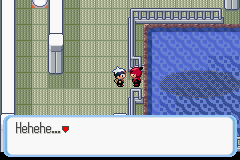 Defeat the grunt, enter 4, enter K.
Speak with and defeat Aqua Admin Matt , enter L, exit Team Aqua Hideout. 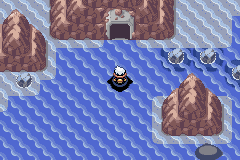 Now that you've dealt with Team Aqua/Magma once again, the path east is no longer blocked by a Wailmer. Simply surf east and you'll very quickly arrive in Mossdeep City. 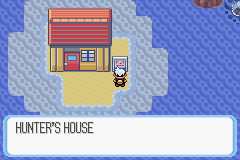 You can stop by the Hunter's House on an island along the way to exchange any color shards you might have for evolutionary stones. 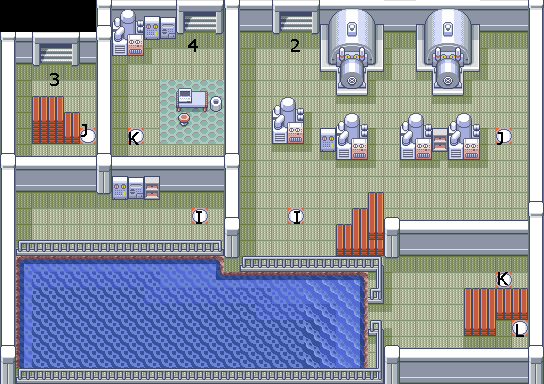 After arriving in Mossdeep City and healing up, check out the house west of the Pokémon Center. 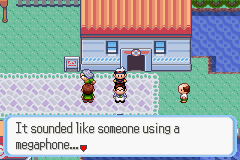 THe little boy here will tell you where your secret base is if you ever forget. Enter the house directly north of this and Steven will greet you and give you HM08 - Dive. 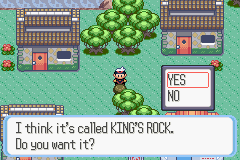 Talk to the man walking around here and he'll give you his gift from Steven, a King's Rock. 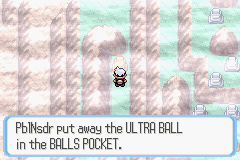 Pick up the Nest Ball from the Item Ball to the southeast. 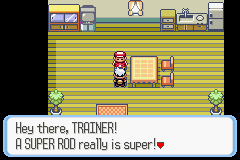 Head the northernmost home in Mossdeep and talk to the fisherman there and he'll give you his Super Rod. 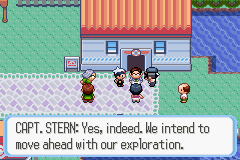 Finally, enter the Mossdeep Space Center and talk to the sailor to get a Sun Stone. 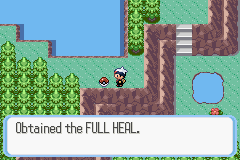 Heal up and head for Mossdeep Gym when you're ready.